EzyLearn BLOG: Online Accounting Training Courses - Page 50 of 50 - Accounting Training Courses (Xero, MYOB, QuickBooks, Sage One, Reckon); Microsoft Office (Word, Excel, PowerPoint, Outlook); Digital Marketing (WordPress, Google, Facebook) - and growing! The auDA, the organisation that managers Australian domain names, announced on Monday, 14th April a relaxing in the rules to transfer domain names from one licence holder to another for any reason. There are still some restrictions, particularly designed to protect companies and individuals who own trademarks from domain name hoarders who buy them for the sole purpose of selling them to make a profit. “Dee Why is growing up and all the buildings are being demolished to make way for a new modern suburb, so I’m moving to Brookie” says Steve Slisar who is moving his business from Dee Why where he has been operating his computer training since 1999. As a result of more students using online training, having more sophisticated and specific requirements and the development that is currently going on in Dee Why, Steve is closing his Dee Why office and moving to Brookvale. His new training centre is smaller than Dee Why and as a result he has computers, desks, chairs, binding machines, kitchen appliances, stationary and many more items up for sale. The sale of the Dee Why office contents will take place on a Saturday very soon and you’ll be able to name your price on some items. To be informed about when the sale takes place, visit his website at www.slisar.com and join his Email Newsletter by clicking here. Today (11th April 2008) EzyLearn Pty Ltd director, Steve Slisar, launched the companys’ first “Community” website for Sydney’s Northern Beaches where the company began teaching people how to start using their computers in 1999. “With websites like MySpace and Facebook, ‘Social Networking’ is what all the talk is about these days. It’s how real people can collaborate with other real people in a fun and interactive way on the Internet and it’s part of what they call Web 2.0” says Steve Slisar. “I’m excited to see how our customers take to this new technology… seeing that many of them are beginners and have only recently used computer for the first time”. EzyLearn’s launch today of the Social Networking site also means that they are able to provide a very similar service via their 123ezy website business to website clients. To check out the new community, click here club.slisar.com and join. This announcement is regarding the Workskills program that was initiated by John Howard and the Australian Federal Government. EzyLearn computer software training videos, workbooks and exercise files were being used at training centres in Dee Why, Chatswood and Perth to help Workskills students gain the qualification of Certificate II in Business. When the Rudd Government took control of Government they initiated quotas that were in the contract offered to RTO’s (Registered Training Organisations) and we found that this made it impossible to enter new students into the Government enrolment system. As a result, Steve Slisar (director of EzyLearn Pty Ltd), decided to make a selection of his online e-learning computer software training courses available for free at a website called www.freecomputertraining.com.au. The good news for potential students is that the Rudd Government has a new initiative that has promised more places for a larger spectrum of the community. Today Ezylearn started the EzyLearn Educator program to help build a national team of trainers and training centres who use EzyLearn content to teach people how to use their computer. “We have various Internet Portal websites that use our training content and felt that it was now a good time to bring together all the people who have used our conten” says EzyLearn Director, Steve Slisar. The Ezylearn Educator program is designed to specifically inform Ezylearn trainers about changes to the content and delivery, as well as opportunities that arise in the computer software training market place. “It fits well with our new business opportunities programs where anyone who wants to use the full range of EzyLearn computer training tools can do so at a very economical price compared to other course material that is currently on the market” says Steve. EzyLearn Educators have training workbooks, online e-learning videos and exercise files that they can use to help them deliver a full and comprehensive range of products to their clients. EzyLearn has announced the plan to build an elearning platform that will allow any person to operate their own computer training business from home for less than $1000. Ezylearn director, Steve Slisar, announced the plans today saying that “anyone who has good computer skills, is good with people and wants to earn some money helping their friends, family, school members, mothers group members, or seniors club will be able to use all the existing EzyLearn learning workbooks videos and exercise files”. The new e-learning website will have an open registration system, where anyone visiting the website will be able to register and enrol into the Excel Beginners (Course 301) for free. “By registering and enroling and then using one of the EzyLearn courses, potential clients will see how easy and cheap it can be to learn new computer software skills online” says Steve Slisar who has been developing and updating the training material since 1998. Anyone interested in learning more about the “work from home business opportunity” should join the EzyLearn email newsletter by visiting this site: http://www.ezylearn.com.au/_mgxroot/page_10703.html and entering in their name and email address or by calling Steve in Australia on 0413 007 481. Creating a customised search engine for your own website is simple with 123ezy websites and Google. The special script made available by Google is called “Customised Search Engine” and you can put a search box on your own site that only searches your “own” site (or couple sites if you have a couple). Take a look at how it works…. Visit www.ezylearn.com.au and you’ll notice the Search Box at the top of each page (in the page header). Type some text in this box, something like “Email Newsletter” and then press Enter (or click the search button) and you’ll be taken to a different page in your website that shows the search results. Ads do appear in the search results, but you can pay Google $100 per year and they will no longer appear if you really don’t want to see your competitors ads appearing. Finally, you may have noticed that when you entered the search string and pressed Enter, that search results appeared from several different websites. This is because we asked Google to search all the websites that work with EzyLearn, including Maxis Solutions in Chatswood and Steve Slisar in the Northern Beaches of Sydney. 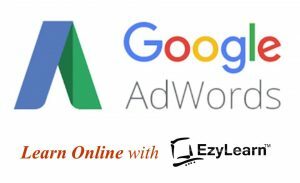 If you want some helps setting Google Customised Search Engine on your website, please feel free to call EzyLearn on 1300 888 869 or send an email to support@123ezy.com.au. Yahoo is one of the most popular websites in the world and much of the success for their statistical ranking is how they manage and arrange their website. Here is a great link that shows you how successful a website domain name is: http://www.alexa.com/data/details/traffic_details/yahoo.com, you may want to see how successful your website is using this great resource. If you want to submit your website to Yahoo for “indexing” then this is the URL you need: http://search.yahoo.com/info/submit.html. There are several other options that Yahoo have and the rest of the options need to be paid for. Here is the link that shows you most of the other options. It also shows prices: http://searchmarketing.yahoo.com/srchsb/index.php there are several search options and you may want to take a look and see which options suits your goals and your budget. Computer software training is now available online for free. The video, training workbooks and exercises are created by Steve Slisar and EzyLearn and you can now enjoy the whole experience in your own home or office for no charge. There is a tour at the website that shows you exactly how to use all the training tools available to you and shows you how to register for free. This is the ideal training tool for schools to use to teach students or even make parents aware of it. It is also a good computer software training tool for seniors groups or other community groups or even experienced computer users to help members of their family like mums or grandparents. Make sure you subscribe to our FREE Computer Training Newsletter to be kept up to date with new training placed online or Government funded training initiatives. WordPress, the hugely popular and very powerful blogging software script (program), has been available on the 123ezy website hosting system since it began in 2004, but EzyLearn has now written a training workbook on how to simply install and use WordPress to benefit your own business website. “WordPress has some fantastic features that make it a must to use with your website. Everytime something new happens in your business promote it via your blog and potentially hundreds of blog directories will pick up the information… great for your internet marketing” says Steve Slisar, director of EzyLearn Pty Ltd.
Click Here to go to the Online Computer Training website and access the Workbook for free. You can now learn Beginners to Windows, file management, Email and web browsing, Microsoft Word, Excel, PowerPoint, Outlook, MYOB and much more for a low monthly subscription fee. It’s computer training online so you can learn in the comfort of your own home or office and there’s no extra cost. The training is video based too, which means you receive a combination of video, audio, workbooks that you can print out and exercise files that are used in the workbooks so you get to practise what you learn. If you fit this criteria, the Australian Federal Government will fund the cost of your training. That’s $3000 value at no cost to you. Click Here for more information about the free computer software training course. What type of people could use some updated computer skills? Do you run a business and struggle to understand how to use computer software? Are you employed, but have no formal qualifications and want to improve your skills? Are you a mum or a carer that wants to get back into the workforce, but are worried you are under qualified to gain employment? Are you self-employed? Would you like to improve your business skills by increasing your administration and bookkeeping abilities? Are you a job seeker and would like a qualification to help gain employment? We can provide you with a Certificate II in Business and you can complete the training in three locations across Australia: Chatswood, Dee Why and Perth. You can start anytime you want and you can learn from home using the EzyLearn online computer training system. Click Here to access the free computer software training course enrolment form and begin the enrolment process. Please feel free to call us, or Click Here to find your nearest EzyLearn computer software training centre..